Fortified city of Naphtali, named with Iron and Migdalel (Josh. xix. 38). 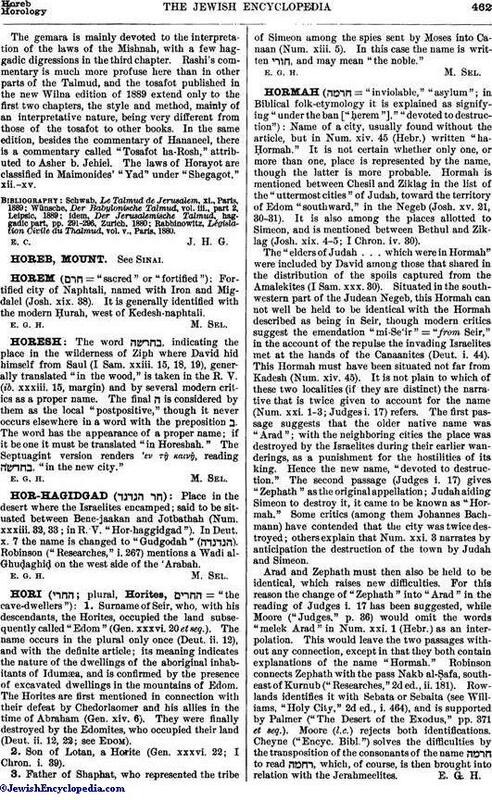 It is generally identified with the modern Ḥurah, west of Kedesh-naphtali.